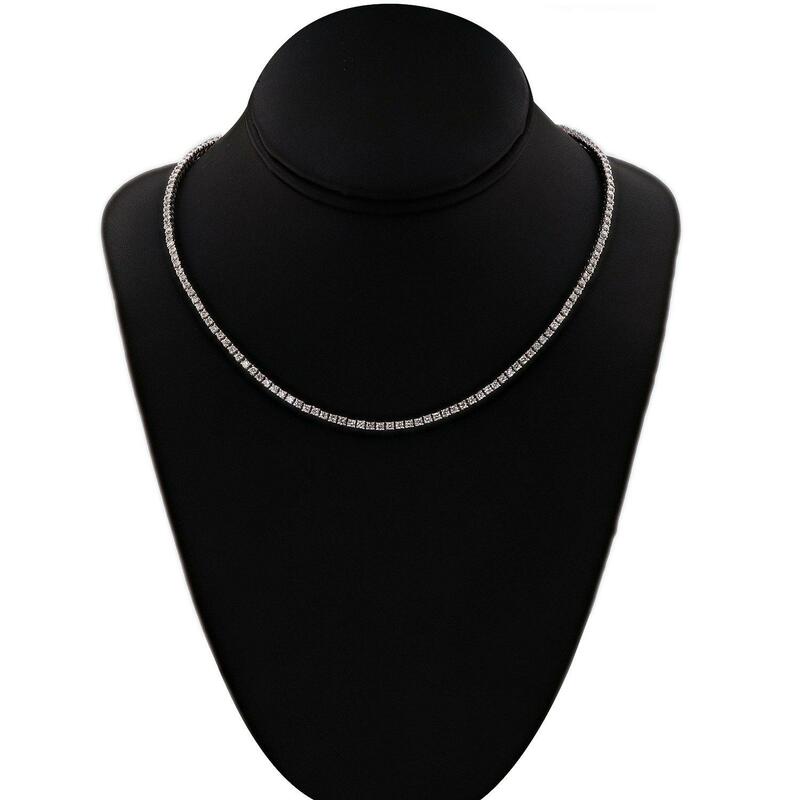 One electronically tested platinum ladies cast and assembled diamond tennis necklace. Condition is new, good workmanship. The fifteen and three quarter inch length necklace features a flexible diamond ribbon, terminating in a concealed clasp with safety. Identified with markings of "Pt850." Bright polish finish. One hundred fifty-five prong set round brilliant cut diamonds, measuring 2.00 - 2.00 x 1.20mm (depth est.) approximate total weight of 155 Stones = 5.06ct. The color grade reflects the overall average for the group. Graded in the setting. Total Weight of Diamonds 5.06ct.